Bhubaneswar: A day after BJP circulated an intelligence report that said BJD president and Chief Minister Naveen Patnaik should not contest from Hinjili in view of ‘significant dissatisfaction among the local people’, the BJD today decided to move the Election Commission against the saffron party for producing a “fake” report thereby misleading people. 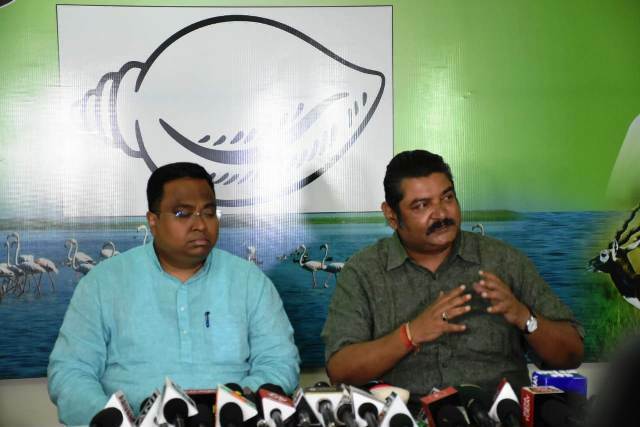 Party spokesperson Pratap Keshari Deb in a press conference here blasted the national party for resorting to such type of undemocratic activities and misleading people against the Chief Minister and also the BJD party. “The Intelligence report shown by #BJP is a fake one as the party had shown similar letter in Karnataka. The letter number mentioned in the report produced by BJP yesterday and the letter surfaced in Karnataka is same,” alleged Deb. He said that the party will move Election Commission against BJP for misleading people against the Chief Minister and also the BJD party during election process. The report – attributed to the Odisha Police’s State Intelligence Branch, Political Desk and dated March 15, 2019 – suggested Naveen Patnaik contest the polls from Rourkela, Bijepur, Balangir or Titilagarh. Meanwhile, DGP Dr Rajendra Prasad Sharma called the report fake.